Hi Everybody! Let me take a moment to introduce myself. My name is Katy and I am one of the trusty members of the Rhinestone Beagle Craft Club. If you have kept up with Anita and Kelly I am the show off who either does multiple crafts or gets the project done first. I am so happy to be invited to be a guest writer especially for one of my favorite holidays, Halloween! In the past few years Halloween has exponentially climbed up as one of my favorite times the of year. 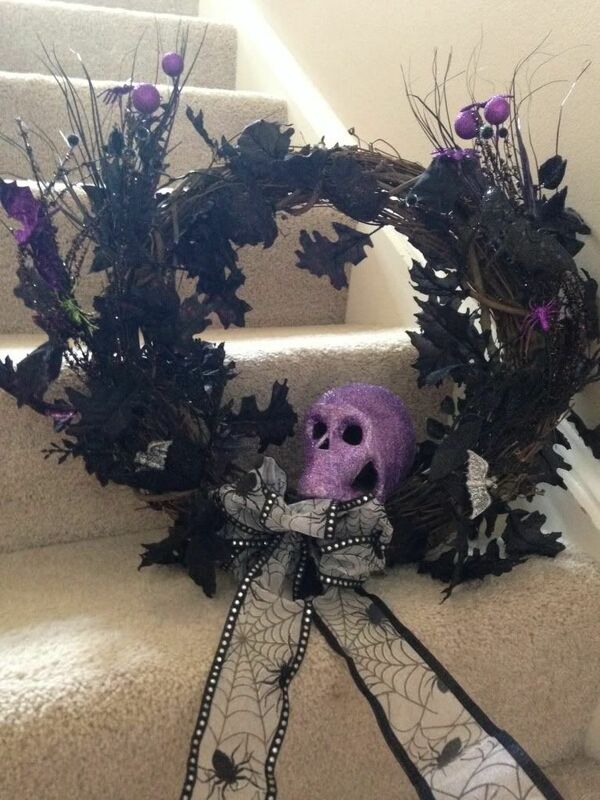 I have taken pride in my decorations and almost all of my Halloween decorations are made, not bought. I try to add at least one new item each year. 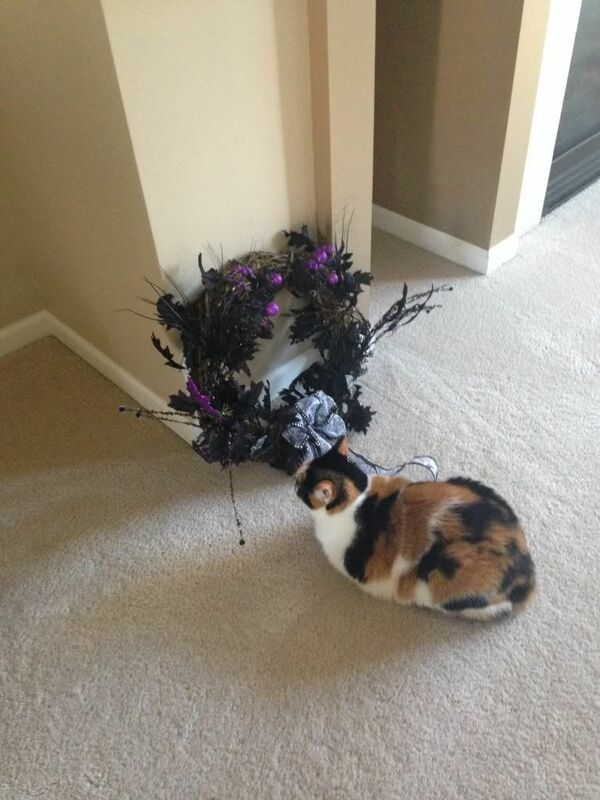 This year I felt I needed a wreath to spook out my front door. Unfortunately, I didn't have a lot of time so I headed to the trusty internet for some quick and easy ideas. So after an hour or so of browsing many different pages and pictures I had a vision in my head and off to the local craft store I went. I picked up the following items. 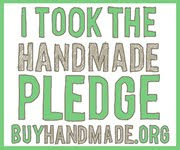 You will also need your trusty glue gun. 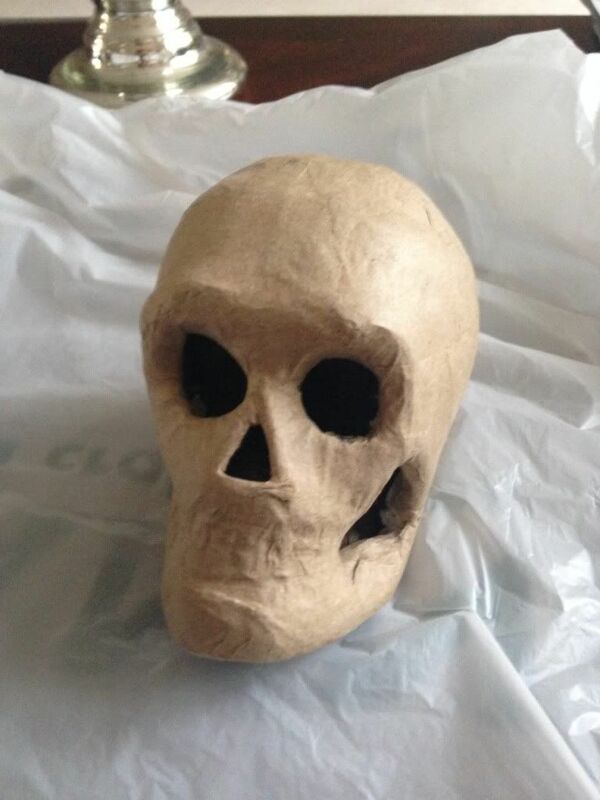 First, I took my paper skull and painted it with the silver metallic paint. Once dry, I covered the skull in modgepodge (Eeeee!! So exciting!) 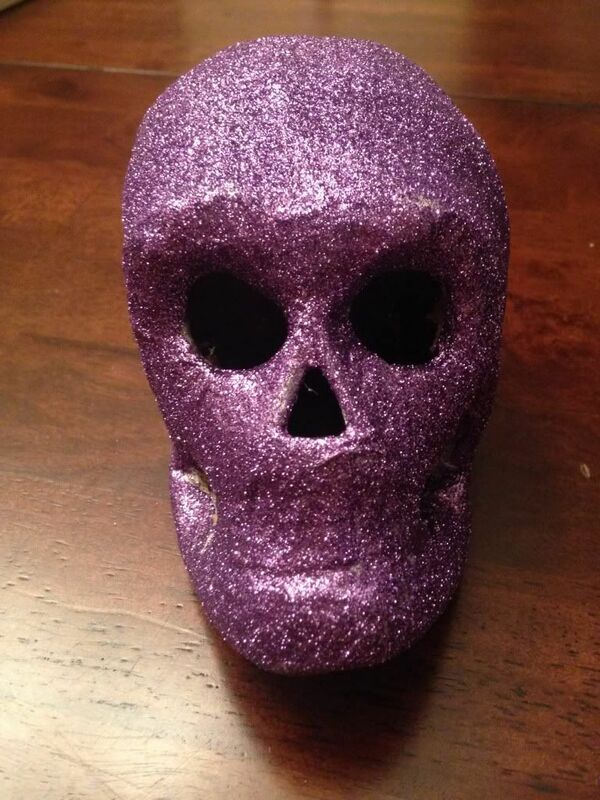 and released the glitter-I think more got on the table but eventually I was able to cover the skull to a vibrant blinged out purple. 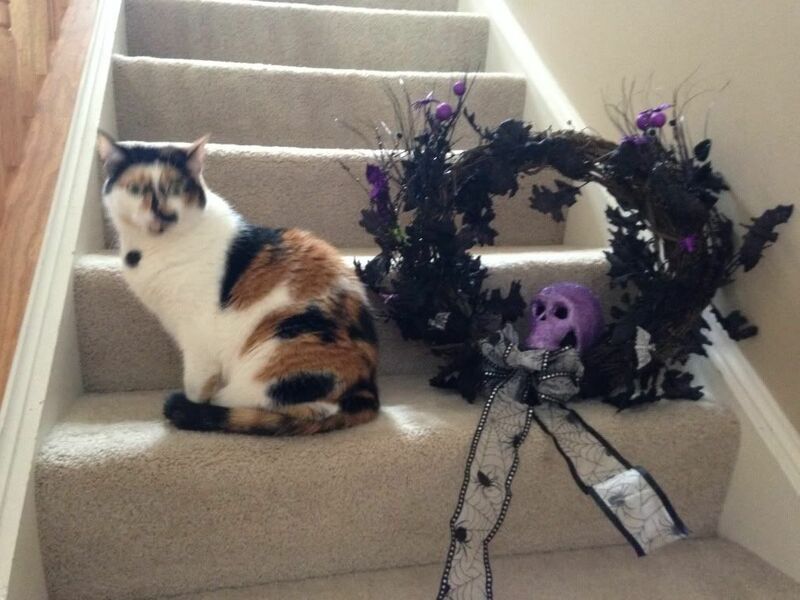 While my skull was drying I took my grapevine wreath and my halloween garland and wrapped it around the wreath and then took the decoration picks and basically just weaved the decorations into the grapevine. 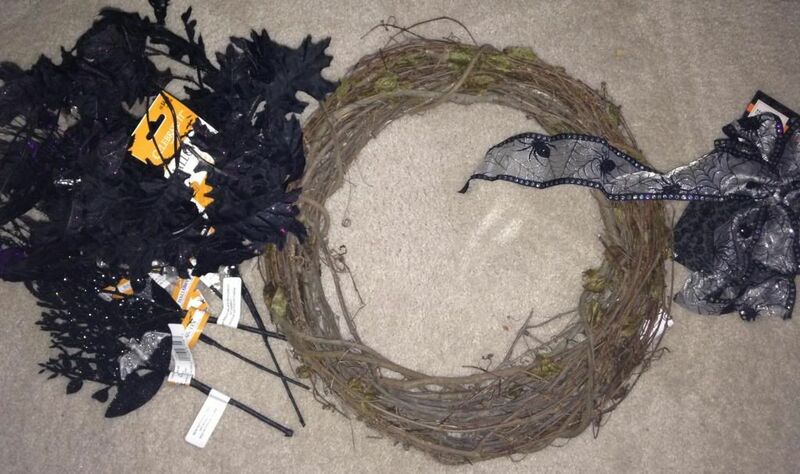 If you feel the need you can use hot glue or thin wire to secure the decorations to the wreath. Once my skull was dry I hot glued it to the bottom inside of the wreath and then attached the bow below the skull and voila! 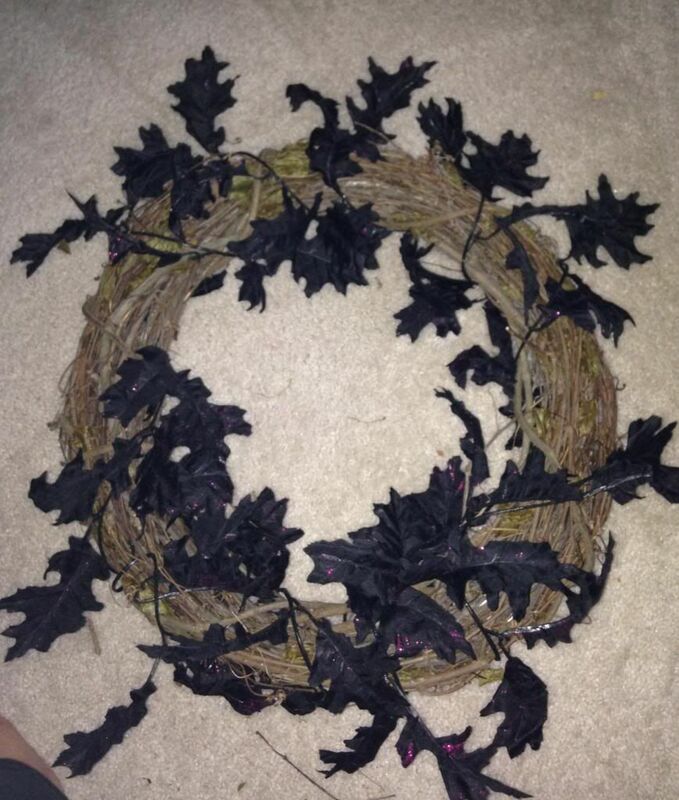 My wreath is completed! I think Lulu approves of the final product and I am sure she looks forward to enjoying it for years to come. How amazing your work also the cat has a great time with a skull. The Rhinestones Beagle Craft Club is one the best for all this kind of an artwork. So nice and easy to do. Thanks for sharing it. Happy Halloween!